Contemporary home décor is something more than the neutral color palettes and minimalist styles. Present day décor aims at attaining a balance between clean lines and cozy accents. Simplicity is the key word that defines a modern home. Simple doesn’t mean a boring home décor.A contemporary home décor can be pleasant, inviting, elegant and classy. Engineering a modern home is not as elementary as entering a store and picking items with clean lines. It means more than that, which includes incorporation of many basic ideas into a contemporary décor. It mostly strikes the right balance between simplicity, practicality and functionality. 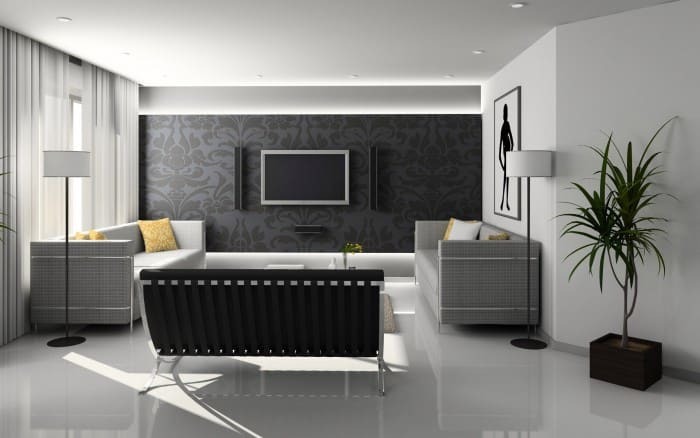 The modern home décor adds a small component of character to the space. It can be astounding as to how a splash of color on the neutral palette can create such a striking effect. Exploring and creating a contemporary décor need not necessarily be back-breaking since there is always enough room to play with spaces. Rock Painting is a man-made art on natural rock. Rock art is found in many culturally distinct regions of the world. Rock art is one of the conventional forms of human expression. Traditionally people created many diverse expressive images some complex and some simple. Rock art images include images of human beings, animals, natural objects like sun and geometric and abstract images. Home décor plans with pebbles and rocks work well for both adults and children. Rock art has a deep and profound history. Different designs and symbolic languages have ben engraved by indigenous people. Rock painting can be both fun and add an element of class to your house. 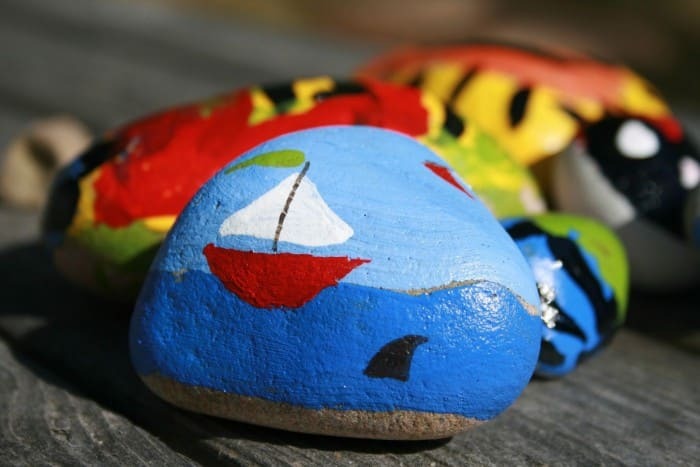 Decorating your home withpainted rocks can be inexpensive and an easy way to make a style statement. It does not require any special effort to preserve this art. You only need to find appropriate places to place them. We have always loved plants inside our homes, but we need containers to preserve them and designers around the world have been working really hard to customize them for us. Vases have always been one of the handiest and resourceful accents out there. The elite vases are consistently functional and continue to provide exquisite value even when your special flowers run out of season. If you are seeking home accessory inspirations vases are sure to stroke creativity. Vases come in distinctive shapes and sizes, you can pick among the lot to fit your requirement. 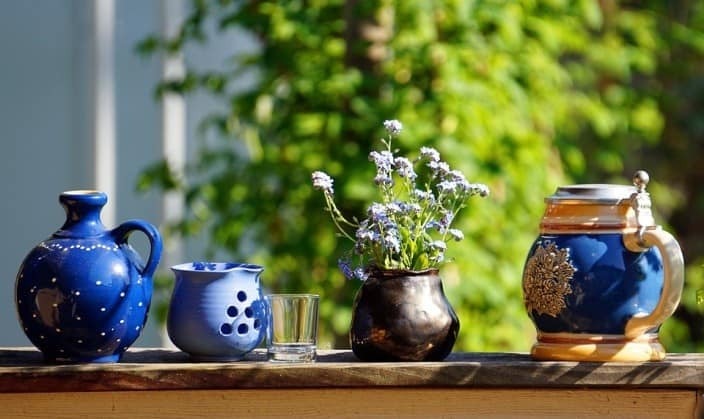 Various styles and shapes of vases are designed around the world in different time periods, like Chinese Ceramics and Native American pottery. Even wood has been used to design vases, using tree species that normally withstand rot, like rose or teak wood or by using a protective polish to conventional wood. A vase is the one that will inspire a conversation. A vase can also help break tension in the room, and can make guests admire and wonder where you got it from and what it actually it implies. 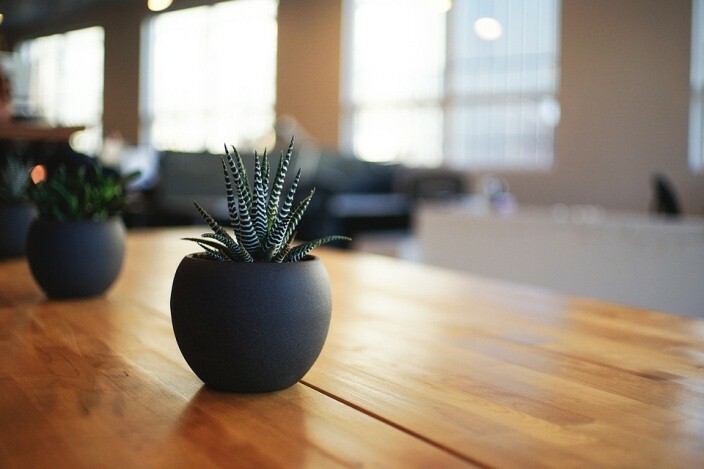 Indoor plants are remarkably versatile and can be used in numerous distinctive ways to refresh and magnify a room’s décor and the possibilities are limitless because of the various varieties of plants that are available. We can use plants to enhance colors to a room, to foster a refreshing and a relaxing ambience, to purify air or to simply add features. Indoor plants can be grown in hanging terrariums. You can design beautiful mini gardens and hang them from the ceiling or even display them on shelves. A large plant can be made the center of attention; it can be a perfect extension to a cozy seating nook. Few plants are very easy to grow indoors and require minimal maintenance and hence very popular. Small indoor plants can be used to fabricate a refreshing aura in your bedroom. You can have a little planter on a shelf or hang one in the nook of the room. You can even design a beautiful garden in the kitchen for succulence’s and herbs, so you will always have fresh vegetables to cook with and the plants will definitely add an element of elegance of the room. Instead of abandoning everything while constructing a house, you can save a tree and encase a glass around it, which can become a part of your home and you can always appreciate it.Or you can bring plants inside and create a small Zen garden near the passage or a foyer, decorate it with rocks and make sure the plants get sufficient natural sunlight. Its swing time with indoor hammocks! Hammocks aren’t just for gardens and outdoor spaces, because they are so phenomenally snug, they’ve been adapted to fit in indoors as well. A hammock can be a great add-on to a casual drawing room or an indoor foyer. A hammock is a sling made of variety of materials. It is mostly a net suspended amidst two points. They are great to unwind and relax. It is effortless to find space for a hammock in a huge, living room;preferably the room must have exposed beams for the hammock to hang from. A living room is a wonderful place for a hammock. 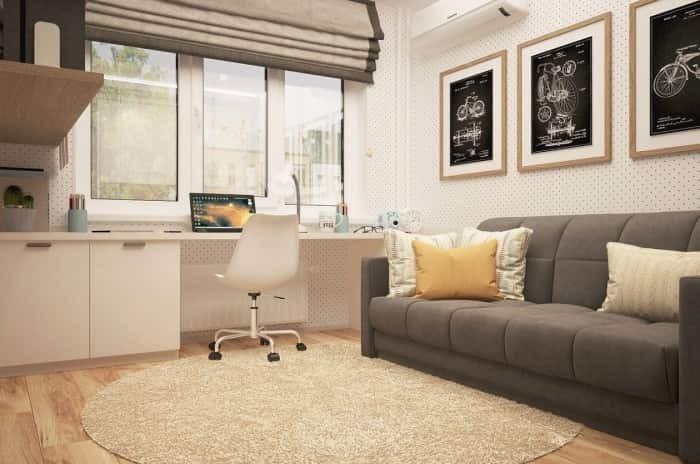 Ideally the hammock would be placed in a way to allow the user to comfortably watch TV and connect with the others in the room. Even if the hammock takes up a lot of space,it’s an excellent add-on to your sun room. It’s the most pleasant place at home where you can unwind relax and enjoy the view. You could make a hammock the center of attraction in the drawing room, allowing it to stick out. Arrangements can be made depending on the layout but preferably it would be great if the hammock stays close to the windows so you can feel the sun and the wind while you relax. 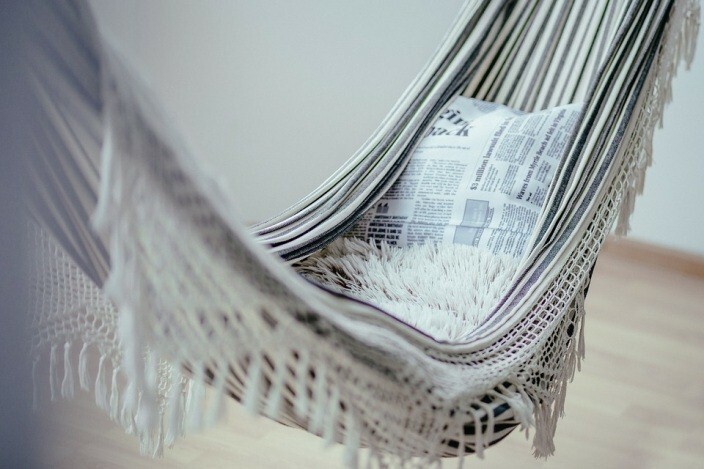 A hammock will instantly give the room an informal look regardless of the style chosen for the interiors. A hammock can be a perfect reading spot in your home library or near your bookshelf in a living room or a bed room, wherever that might be. This may be an ideal motivator to get you to read more. Stylish and elegant ceiling patterns change the look of your home. Ceilings are the most back breaking areas to paint, yet well worth the effort. While revamping our homes, we habitually tend to ignore the ceiling design. We just paint it white and don’t even give it a second thought. Our focus is mostly on the wall and the floor. 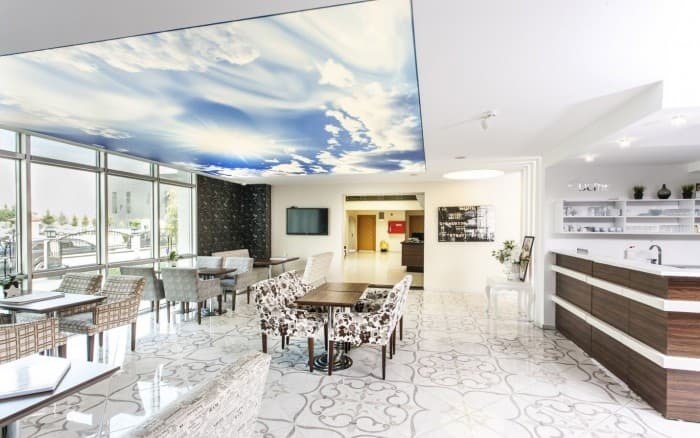 Symbolically the ceiling is of paramount importance and can radically change the look of the room. The beams must match the doors and windows to highlight the design of the ceiling. A plain white design is also an elegant option. Some people choose to stain their beams for a rustic look, but the beams stand out even if they are white. You could use geometry on the ceiling while selecting a lighting fixture. You can also pick an all-wood coffered ceiling for a conventional look, a very consistent interior design wrapped in wood. You can use various shades and employ light in your favor. If you prefer a simple and neutral color, you must try stripes with black and white. If u prefer a brighter look, go for more cheerful colors like coral or a pink. Ideally, the color of stripes on the ceiling matches that of the walls. Use a bold color if you want the ceiling to be a focal point. The ceiling can match the floor or the carpet for solidarity. Stripes look exceptional on the walls and they are very popular. Painting stripes on your ceiling could be a captivating choice. You could leave the walls plain and rustic and emphasize on the ceiling, making it the prime focus of the room. No one actually spends time on the hallway but it doesn’t mean this space doesn’t need to look elegant. If you want the aura to move from neutral to pleasant, use a hallway runner which appeals visually. A hallway with dark floors could use a cream and a pale yellow for the contrast. A hall way runner can stick out print, pattern, color and shape. Since white can sometimes prove to be a little dazing, pleasant alternative colors like beige or cream can be used. These colors go exceptionally well with shades of brown. Don’t think twice to welcome colors in your home. A bright colored hallway runner can juice up your home décor. Equate the hallway runner with the walls for an amalgamated look. Uniformity can also make a long hallway look more pleasant. Pastel colors and variations of white are great ways to brighten up a hallway. These shades are very pleasant and ideal if you seek to balance a dark floor. To keep the décor unostentatious, adorn a hallway with a black and white runner and paint the walls white. Break the routine with a fascinating pattern. It need not necessarily be stripes. When it comes to art, each person has its own unique preference or taste so, what one individual likes, others may not. Similarly, to a vast majority of people wall artworks are personal. 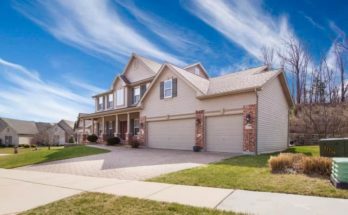 While setting up your home for sale, it’s vital to depersonalize it, that’s the reason why almost all home stagers’ advice sellers to get rid of their family photos, kid’s painting or artwork etc hanging on their walls as these could act as a distraction to the potential buyer. It’s crucial to ensure that the artwork adds substantial value to the wall and does not put-off the potential buyer. Wall art is something that brings energy, flair, identity and style to each and every room, so, shortlist something that matches the color, feel and look of the room. It could be anything, a framed photo or a contemporary wall art such as an abstract art, landscape art or a map that would make a big visual impact without being too personal. Choosing the right artwork to showcase can be tricky because a seller has to gauge whether the prospective buyer will be able to connect with it or not. After doing all the hard work of choosing what kind of artwork to showcase in the house, the next step is to ensure that the pieces are hung at a proper height i.e. 65-70 inches from the ground level, so anyone could admire the picture. In case of a photo collage, it’s better to make sure that all the pictures follow a common theme, similar frames with respect to size, color, design etc. Asymmetrical collage groupings are less appealing than symmetrical arrangements. Finally, it’s not the quantity of art being showcased, but, it’s the choice & quality of art that draws out the best in a room. The secret to make a home look great is good furniture placement. Yet, many people can’t figure out the best way. 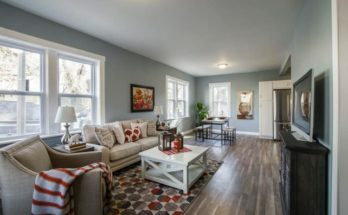 When it comes to home staging, for every room there should be an ideal strategy or method of furniture re-arrangement that has to be followed and also every room should have a focal point be it a fireplace, bookshelf etc. To discover that perfect furniture plan, don’t be shy, fooling around with various furniture arrangement options. The main focus should be to make the rooms appear larger than they actually are. Make sure to Re-arrange the furniture in such a way that there is a lot of open, walk-able space to get that perfect traffic flow. 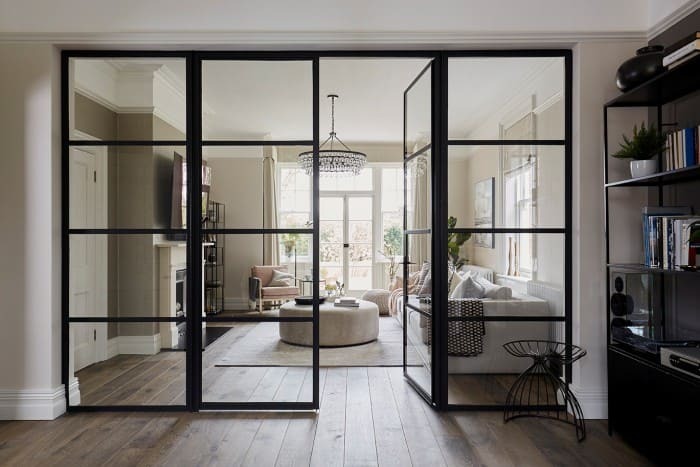 This enables the potential buyers to explore the space, and furthermore causes them to better imagine their own furniture in each room. Put unwanted or unessential furniture away in the storage, concentrating on disposing of any old, damaged, large pieces, and those that don’t fit with rest of the room. Contemporary homes lead to credibility and originality to our experiences, at their best; they reciprocate to the frame of reference of time and space. Today, the contemporary moment of living has undoubtedly affected every aspect of our lives. Indeed every design age, borrows and influences elements from each other. The contemporary era is all about letting go stringent design rules and becoming open and minimalistic in our perspective. 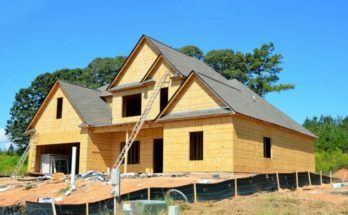 Whether you choose to have a comprehensive home and mix of past times or you prefer to advance in nature, your home should reflect your lifestyle.